It’s that time of year again where one of my main gifts to various friends and family is my homemade fudge. I started this tradition during my sophomore year in high school and have continued it since then. I make two batches: chocolate and peppermint. 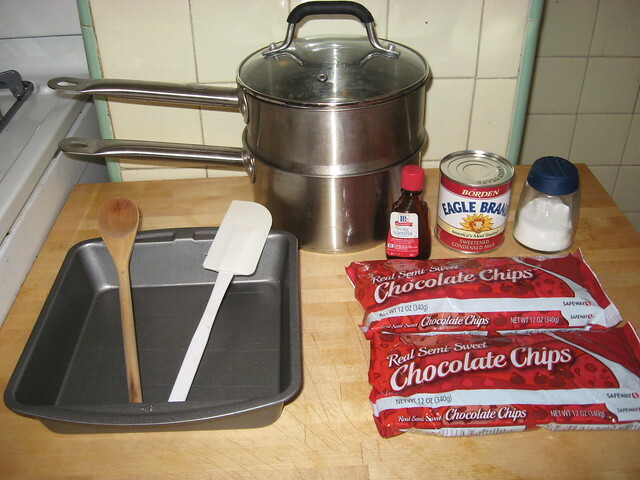 The chocolate recipe I got from the book Betty Crocker’s Cooking With Kids, and I used it as a base to create my peppermint recipe. The peppermint recipe has changed (and IMHO improved) over the years thanks to advancements in the seasonal baking ingredients. Allow me to share my recipes with you, and you too can start your own fudge-giving tradition. Recipe makes 64 pieces. Weight Watchers POINTS® Value: 1 point per piece. ¹ If you cannot find these, as they’re seasonal, you can use 18oz. of white chocolate chips instead. Also, mixing the red and green swirls together will cause the fudge to be a light brown color. If you want a more festive color, use the red chips plus some regular white chocolate chips. 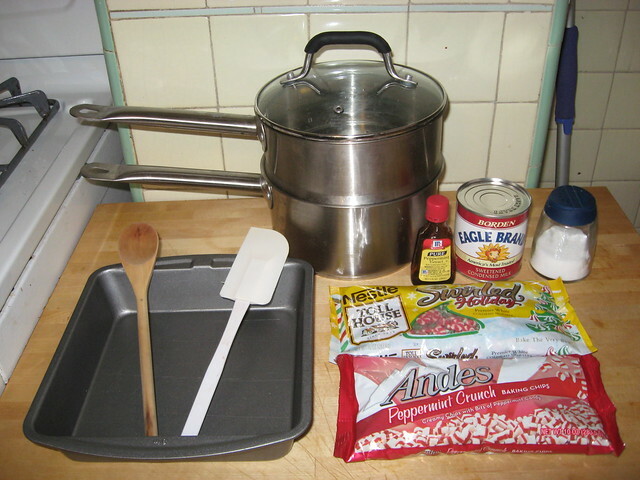 ² If you cannot find these, as they’re seasonal, you can use 3oz of mashed up peppermint candies/candy canes.